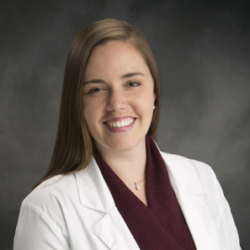 Jennifer White is a Certified Physician Assistant for Central Care Cancer Center at the Bolivar, MO clinic. She has a Bachelor of Science degree in Cell and Molecular Biology from the Missouri State University in Springfield, MO. Jennifer received a Master of Science degree in Physician Assistant studies from Missouri State University. She is a member of the American Academy of Physician Assistants and the Missouri Academy of Physician Assistants.